What is KYG and Why Do We Have It? 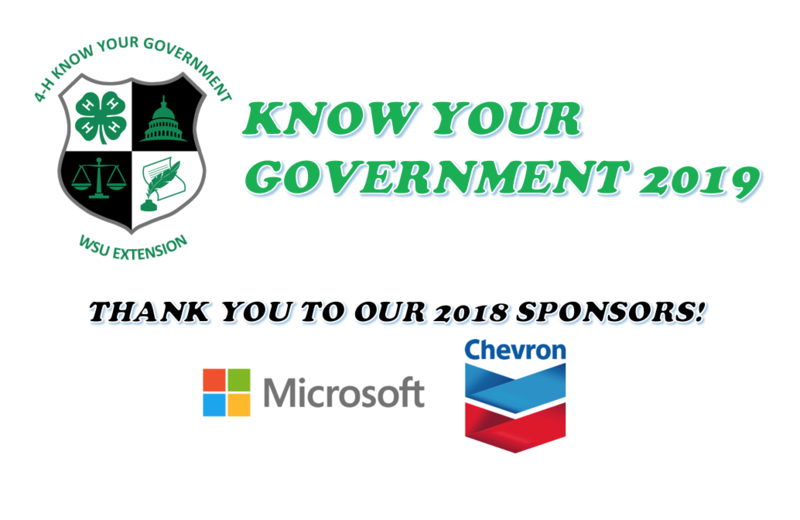 Know Your Government (KYG) is a civic education program with a four-year rotating topic: The Legislative System, The Judicial System, Elections and Party Platforms, and Politics and the Media. This year we will explore the topic of Politics and the Media. It is important to remember though, that KYG is much more than learning about how the Legislative process works. In fact, one could argue that it is little about that. KYG and 4-H are about learning the life skills our delegates will need to be responsible citizens and productive adults. The conference is an opportunity for delegates to practice the skills they have learned, apply their knowledge to unknown situations and reflect on how they did. Purpose: teach the skills, provide the tools, and prepare for the project at the KYG Conference. Participants will learn how to work as part of a team, with people they may or may not know, to get the pre-conference objectives completed. The pre-conference meetings are a way for delegates to hone these skills so when they get to the conference, they will be prepared to learn the new skills, practice and apply already learned skills, and work with more people they do not know in a mock trial setting. Perhaps even more important than this, they will have an experience that is similar (not necessarily identical) to those of other delegates. Similar experiences will provide a common foundation for all delegates, regardless of geographic, political or other differences. Learning something new and working with other delegates with different perspectives can be uncomfortable. Pre-conference meetings are a way to help delegates feel comfortable about what will be happening at the conference so they feel safe to experience something new. A value of 4-H KYG is that it provides the opportunity for our delegates to explore new ideas and perspectives in a safe environment. We encourage delegates with different views to work together, not to change each other’s minds, but to learn from each other. Encouraging discussion when people disagree and providing an opportunity to explore the issue in a non-threatening way demonstrates to the delegates that they can disagree on an issue but still work together. Ideally, these discussions will help delegates explore why they carry a certain belief and assist them in putting their own beliefs into practice. Remember, one of the intentional life skills we are focusing on this year is communication. This year, participants will explore media and the use of media to inform others about a topic. Through pre-conference orientation, participants will work together to identify a community concern or issue. They will use this issue as the subject of their county project, building skills as they do research, conduct interviews, write posts, produce videos and recruit support towards solving the community concern. At the conference in February, delegates will discuss topics in a civil way and use various media to communicate their views on selected issues.